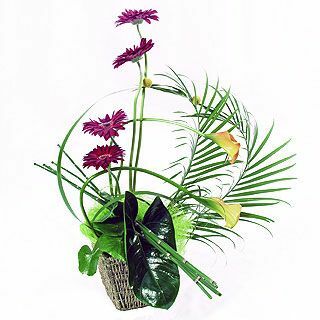 Flower arrangement is an art and a way of expressing creativity through flowers and foliage. Every florist is a designer, and just like every designer in any kind of art, a set of principles has to be followed. Without knowing the underlying principles, one can never be an expert in his or her craft. If you are a florist of say, Melbourne, being an expert in the principles of flower design is your way to becoming the best florist Melbourne. So, after learning the tools and materials of a florist, let’s get started to achieve that perfect flower arrangement. Note: The set of flower design principles that you will learn here is based on the Principles of Floral Arrangement by Baxter County Master Gardeners at the University of Arkansas. It means that both sides of the arrangement are nearly the same in all components. It requires repetition of flowers, buds, and foliage on both sides of the central axis with the two sides as nearly alike as possible. It is the easiest to execute in a floral arrangement. It is dignified and impressive but appears very mechanical. The effectiveness of a symmetrically balanced design depends on the florist’s ability to recognize component values and arrange them in restfully. Asymmetrical balance, on the other hand, means that the plant material and their placement on each side of the center axis differ. Although the sides of the arrangement differ, the visual weight has to be equal so that the sense of balance will be maintained. 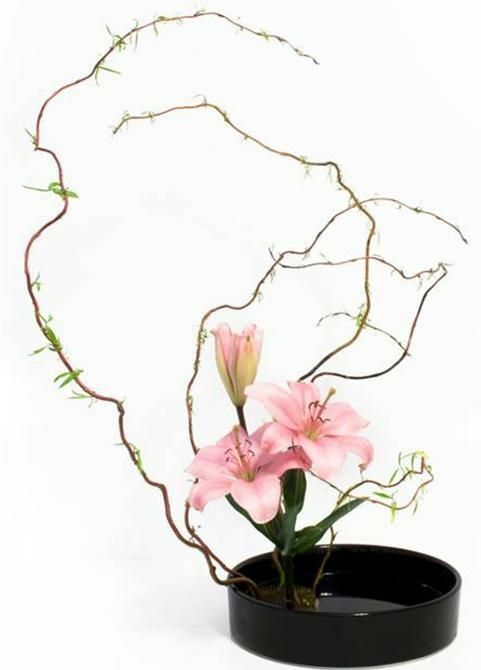 An asymmetrical arrangement balances different buds, flowers, and foliage. Here, the axis does not have to be through the container’s middle. Both sides may distinctively vary in asymmetrical balance, but their weight is equal so that the sides are balanced. Visual balance depends on the placement of flowers and foliage. When the form of flowers and foliage are higher or further away from the axis, they will appear heavier. When the same form of flowers and foliage are used lower and closer to the axis, they will appear lighter. Larger or darker plant material right above the container will create visual stability. Too much weight placed low in the design will make it look too bottom heavy. The focal point is what attracts attention in the whole flower design. It is usually placed low in the arrangement near the center, right above the container in a way that it breaks the horizontal line of the container. The focal point is normally composed of some massive material (e.g. large flower, bright color ) that has weight, gives arrangement stability and immediately attracts attention. Dominance is emphasized through the curved lines or round forms in the design. It is the greater force that drives the eyes to look at the floral design such as a dominant color, shape, size, texture or forms. Accent or emphasis is used to first attract attention to the focal point, which is the most important feature in a flower arrangement. Then, drives the attention to each detail on the design according to their importance. Dominance, accent or emphasis is accomplished through using sharp contrast in colors, sizes and forms of flowers and foliage. Rhythm is the swing or motion in an arrangement. It should create a dominant visual path so that the eyes will be first attracted to the focal point and then carried throughout the entire arrangement. It can be obtained through the repetition of components (i.e. shapes, hues, line direction, etc. ), or the change or progression (graduation) in size, weight, texture or color. It can also be achieved through a continuous line movement of flowers, stems, twigs, or color. Contrast should stimulate the interest. It can be achieved by placing opposite or unlike elements together to emphasize or accentuate their differences. It is important to note that too much of it can divide attention. The components in the arrangement (i.e. color, texture, or form) should be in good proportion to one another. The amount of plant material should be proportionate with the container as well as the height of the arrangement to the width. color – proportion is relative to magnitude, which is the combined effect of color, hue value intensity and texture. shape – proportion should describe the number of round forms in relation to spike forms. size – proportion should dictate the number of small flowers in relation to large flowers. The scale is the relationship of sizes between flower and flower, or between flower and container. When the variation of size is extremely great or small, the components will be out of scale. When a design will become out of scale, the smaller flowers, when scattered on larger flowers, will appear even smaller. To have a better scale balance, the smaller flowers have to be grouped together and so are the larger flowers. That way, each size of flowers will be given more individuality and it will accentuate the contrast between the elements. Scale requires special attention in miniature arrangements. There you have it, the basic principles in a flower arrangement. Now you can work on becoming the best florist in Melbourne. If you would like to add something, please don’t hesitate to leave it in the comment below. Have fun!